The Swing Riots were a widespread uprising in 1830 by agricultural workers in southern and eastern England, in protest of agricultural mechanisation and other harsh conditions. It began with their destruction of threshing machines in the Elham Valley area of East Kent in the summer of 1830, and by early December had spread throughout the whole of southern England and East Anglia. The first threshing machine was destroyed on Saturday night, 28 August 1830 and, by the third week of October, more than 100 threshing machines had been destroyed in East Kent. As well as attacking the popularly hated threshing machines, which displaced workers, the protesters rioted over low wages and required tithes, destroying workhouses and tithe barns associated with their oppression. They also burned ricks and maimed cows. The rioters directed their anger at the three targets identified as causing their misery: the tithe system, requiring payments to support the established Anglican Church; the Poor Law guardians, who were thought to abuse their power over the poor; and the rich tenant farmers who had been progressively lowering workers' wages while introducing agricultural machinery. If captured, the protesters faced charges of arson, robbery, riot, machine breaking and assault. Those convicted faced imprisonment, transportation, and possibly execution. The Swing Riots had many immediate causes. Prof. J. F. C. Harrison believed that they were overwhelmingly the result of the progressive impoverishment and dispossession of the English agricultural workforce over the previous fifty years, leading up to 1830. In parliament Lord Carnarvon had said that the English labourer was reduced to a plight more abject than that of any race in Europe, with their employers no longer able to feed and employ them. The name "Swing Riots" was derived from Captain Swing, the fictitious name often signed to the threatening letters sent to farmers, magistrates, parsons, and others. He was regarded as the mythical figurehead of the movement. ('Swing' was apparently a reference to the swinging stick of the flail used in hand threshing). 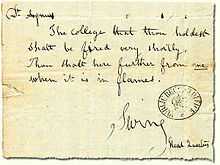 The Swing letters were first mentioned by The Times newspaper on 21 October 1830. Early 19th-century England was almost unique among major nations in having no class of landed smallholding peasantry. The Enclosure Acts of rural England contributed to the plight of rural farmworkers. Between 1770 and 1830 about 6 million acres (24,000 km2) of common land were enclosed. The common land had been used for centuries by the poor of the countryside to graze their animals and grow their own produce. This land was now divided up among the large local landowners, leaving the landless farmworkers solely dependent upon working for their richer neighbours for a cash wage. Whilst this may have offered a tolerable living during the boom years of the Napoleonic wars, when labour had been in short supply and corn prices high, the return of peace in 1815 resulted in plummeting grain prices and an oversupply of labour. According to social historians John and Barbara Hammond, enclosure was fatal to three classes: the small farmer, the cottager and the squatter. Before enclosure the cottager was a labourer with land; after enclosure he was a labourer without land. In contrast to the Hammond's 1911 analysis of the events, the historian G. E. Mingay noted in his 1997 book that when the Swing riots broke out in 1830, the heavily-enclosed Midlands remained almost entirely quiet, but the riots were concentrated in the southern and south-eastern counties, little affected by enclosure. Also according to J. D. Chambers and G. E. Mingay, the Hammonds exaggerated the costs of change when in reality enclosure meant more food for the growing population, more land under cultivation and on balance, more employment in the countryside. The modern historians of the Swing riots, Eric Hobsbawm and George Rudé, cited only three of a total of 1,475 incidents as being directly caused by enclosure. Since the late 20th century, those contentions have been challenged by a new class of recent historians. The Enclosure movement has been seen by some as causing the destruction of the traditional peasant way of life, with surplus peasant labour moving into the towns to become industrial workers. In the 1780s, workers would be employed at annual hiring fairs (or mops), to serve for the whole year. During this period the worker would receive payment in kind and in cash from his employer, would often work at his side, and would commonly share meals at the employer's table. As time passed the gulf between farmer and employee widened. Workers were hired on stricter cash-only contracts, which ran for increasingly shorter periods. First, monthly terms became the norm; later, contracts were offered for as little as a week. Between 1750 and 1850 the farm labourer faced the loss of his land, the transformation of his contract and the sharp deterioration of his economic situation; by the time of the 1830 riots he had retained very little of his former status except the right to parish relief, under the Old Poor Law system. Historically the monasteries had taken responsibility for the impotent poor, but after their dissolution in 1536-9, responsibility passed to the parishes. The Act of Settlement in 1662 had confined relief strictly to those who were natives of the parish. The poor law system charged a Parish Rate to landowners and tenants, which was used to provide relief payments to settled residents of the parish who were ill or out of work. These payments were minimal, and at times degrading conditions were required for their receipt. As more and more people became dependent on parish relief, ratepayers rebelled ever more loudly against the costs, and a lower and lower level of relief was offered. Three and a half "one gallon" bread loaves were considered necessary for a man in Berkshire in 1795. However provision had fallen to just two similar-sized loaves being provided in 1817 Wiltshire. The way in which poor law funds were disbursed led to a further reduction in agricultural wages, since farmers would pay their workers as little as possible, knowing that the parish fund would top up wages to a basic subsistence level (see Speenhamland system). To this mixture was added the burden of the church tithe. Originally this had been the church's right to a tenth of the parish harvest. However the earlier collection of goods in kind had been replaced by a cash levy that was payable to the local Church of England parson and went to pay his (often considerable) stipend. The cash levy was generally rigorously enforced, whether the resident was a Church member or not, and the sum demanded was often far higher than a poor person could afford. Calls for a large reduction in the tithe payment were prominent among the demands of the rioters. The final straw was the introduction of horse-powered threshing machines, which could do the work of many men. They spread swiftly among the farming community, threatening the livelihoods of hundreds of thousands of farmworkers. Following the terrible harvests of 1828 and 1829, farm labourers faced the approaching winter of 1830 with dread. Starting in the south-eastern county of Kent, the Swing Rioters smashed the threshing machines and threatened farmers who had them. The riots spread rapidly through the southern counties of Surrey, Sussex, Middlesex and Hampshire, before spreading north into the Home Counties, the Midlands and East Anglia. Originally the disturbances were thought to be mainly a southern and East Anglian phenomenon, but subsequent research has revealed just how widespread Swing riots really were, with almost every county south of the Scottish border involved. In all sixty per cent of the disturbances were concentrated in the south (Berkshire 165 incidents, Hampshire 208, Kent 154, Sussex 145, Wiltshire 208); whereas East Anglia had fewer incidents (Cambridge 17, Norfolk 88, Suffolk 40), while the south‐west, the midlands and the north were only marginally affected. The tactics varied from county to county but typically, threatening letters, often signed by Captain Swing, would be sent to magistrates, parsons, wealthy farmers or Poor Law guardians in the area. The letters would call for a rise in wages, a cut in the tithe payments and for the destruction of threshing machines, otherwise people would take matters into their own hands. If the warnings were not heeded local farm workers would gather, often in groups of 200–400, and would threaten the local oligarchs with dire consequences if their demands were not met. Threshing machines would be broken, workhouses and tithe barns would be attacked and then the rioters would disperse or move on to the next village. The buildings containing the engines that powered the threshing machines were also a target of the rioters and many gin gangs, also known as horse engine houses or wheelhouses, were destroyed, particularly in south−east England. Other actions included incendiary attacks on farms, barns and hayricks in the dead of night, as it was easier then to avoid detection. Although a lot of the actions of the rioters, such as arson, were conducted in secret at night, meetings with farmers and overseers about the grievances were conducted in daylight. Despite the prevalence of the slogan "Bread or Blood", only one person is recorded as having been killed during the riots, and that was one of the rioters by the action of a soldier or farmer. The rioters' only intent was to damage property. Similar patterns of disturbances, and their rapid spread across the country, were often blamed on agitators or on "agents" sent from France, where the revolution of July 1830 had broken out a month before the Swing Riots began in Kent. Despite all of the different tactics used by the agricultural workers during the unrest, their principal aims were simply to attain a minimum living wage and to end rural unemployment. Eventually the farmers agreed to raise wages, and the parsons and some landlords reduced the tithes and rents. But many farmers reneged on the agreements and the unrest increased. Many people advocated political reform as the only solution to the unrest. This included Earl Grey, who speaking in a debate in the House of Lords in November suggested the best way to reduce the violence was to introduce reform of the House of Commons. The Prime Minister, the Duke of Wellington, replied the existing constitution was so perfect that he could not imagine any possible alternative that would be an improvement. When that was reported, a mob attacked Wellington's home in London. The unrest had been confined to Kent, but during the following two weeks of November it escalated massively, crossing East and West Sussex into Hampshire, with Swing letters appearing in other nearby counties. On 15 November 1830 Wellington's government was defeated in a vote in the House of Commons. Two days later, Earl Grey was asked to form a Whig government. Grey assigned a cabinet committee to produce a plan for parliamentary reform. Lord Melbourne became Home Secretary in the new government. During the disturbances of 1830–32, Melbourne acted vigorously and sensitively, and it was for this that his reforming brethren thanked him heartily. Melbourne blamed local magistrates for being too lenient and the government appointed a Special Commission of three judges to try rioters in the counties of Berkshire, Buckinghamshire, Dorset, Wiltshire and Hampshire. The landowning class in England felt severely threatened by the riots, and responded with harsh punitive measures. Nearly 2,000 protesters were brought to trial in 1830–1831; 252 were sentenced to death (though only 19 were actually hanged), 644 were imprisoned, and 481 were transported to penal colonies in Australia. Not all the rioters were necessarily farm workers, the list of those punished included rural artisans, shoemakers, carpenters, wheelwrights, blacksmiths and cobblers. The authorities had received many requests to prosecute radical politician and writer William Cobbett for the speeches he had made in defence of the rural labourer; however it was for his articles in the Political Register that he was eventually charged with seditious libel. He wrote an article entitled The Rural War that was about the Swing Riots. He blamed those in society who lived off unearned income at the expense of hard-working agricultural labourers; his solution was parliamentary reform. At his trial in July 1831 at the Guildhall, he subpoenaed six members of the cabinet, including the prime minister. Cobbett defended himself by going on the attack. He tried to ask the government ministers awkward questions supporting his case, but they were disallowed by the Lord Chief Justice. However, he was able to discredit the prosecution's case, and at great embarrassment to the government he was acquitted. The Swing riots were a major influence on the Whig Government. They added to the strong social, political and agricultural unrest throughout Britain in the 1830s, encouraging a wider demand for political reform, culminating in the introduction of the Reform Act 1832; and also to the Poor Law Amendment Act 1834 ending "outdoor relief" in cash or kind, and setting up a chain of workhouses covering larger areas across the country, to which the poor had to go if they wanted help. ^ Hungerford Museum. The Swing Riots 1830. ^ a b c d e f Hammond. The Village Labourer 1760–1832. Ch XI. "The Last Labourers' Revolt"
^ a b c Coffin. The Dorset Page. "Captain Swing in Dorset". ^ a b c d Hammond. The Agricultural Labourer 1760–1832. Chapter III "Enclosure"
^ John Beckett "Swing riots" The Oxford Companion to British History. Oxford Reference Online. ^ Smith. One Monday in November... And Beyond. p.16. ^ Cobbet. "The Rural War" in Cobbett's Political Register. Vol. 37. Armstrong, Alan (1988). Farmworkers in England and Wales: A Social and Economic History, 1770–1980. Iowa State. ISBN 0-8138-0002-1. Beckett, John; Cannon, John Ed. "Swing riots in The Oxford Companion to British History". Oxford University Press, Oxford Reference Online. Oxford University Press. West Sussex County Library Service. Retrieved 10 July 2011. Chambers, Jonathan David; Mingay, Gordon E. (1969). The Agricultural Revolution, 1750-1880. Batsford Ltd. ISBN 0-7134-1358-1. Charlesworth, Andrew (1979). Historical Geography Research Series: Issue 1: Social Protest in a Rural Society: The Spatial Diffusion of the Captain Swing Disturbances of 1830–1831. London: HGRG. Charlesworth, Andrew; Short, Brian; Wells, Roger (2010). "Riots and Unrest". In Leslie, Kim. An Historical Atlas of Sussex. Short, Brian, ed. Sussex: Phillimore. ISBN 1-8607-7112-2. Coffin, Cyril. "Captain Swing in Dorset". The Dorset Page. Retrieved 7 July 2011. Dyck, Ian (1992). William Cobbett and Rural Popular Culture. Cambridge: Cambridge University Press. ISBN 0-5214-1394-X. Elmes, James (1827). On Architectural Jurisprudence; in which the Constitutions, Canons, Laws and Customs etc. London: W.Benning. Gash, Norman. "'Wellesley , Arthur, first duke of Wellington (1769–1852)'". Oxford Dictionary of National Biography, Oxford University Press, 2004; online edn, Jan 2011. Retrieved 12 August 2011. Green, David (2010). Pauper Capital: London and the Poor Law, 1790–1870. London: Ashgate. ISBN 0-7546-3008-0. Hammond, J L; Barbara Hammond (1912). The Village Labourer 1760–1832. London: Longman Green & Co.
"Hansard. ADDRESS IS ANSWER TO THE SPEECH. Debate 02 November 1830 vol 1 column 11–53". UK Parliament. Retrieved 12 August 2011. "Hansard. MINISTERIAL DECLARATIONS: House of Lords Debate. 22 November 1830 vol 1 column 604–618". UK Parliament. Retrieved 17 July 2011. "Hansard. COBBETT'S REGISTER— INFLAMMATORY PUBLICATIONS.HC Deb 23 December 1830 vol 2 cc71-81". UK Parliament. Retrieved 1 July 2013. Harrison, L F C (1989). The Common People, a History from the Norman Conquest to the Present. Glasgow: Fontana. ISBN 0-0068-6163-6. Hobsbawm, Eric; Rudé, George (1973). Captain Swing: A Social History of the Great English Agricultural Uprising of 1830. New York: W. W. Norton & Company, Inc.
Horspool, David (2009). The English Rebel: One Thousand Years of Troublemaking, from the Normans to the Nineties. London: Penguin. ISBN 978-0-670-91619-1. "Agricultural Swing Riots 1830". Hungerford Virtual Museum. Retrieved 8 July 2011. Lee, Robert (2006). Rural Society and the Anglican Clergy 1815–1914. Woodbridge: Boydell. ISBN 1-84383-202-X. Mandler, Peter. 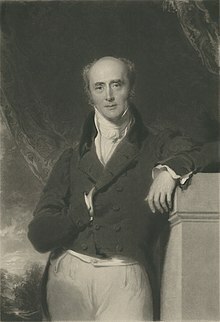 "'Lamb, William, second Viscount Melbourne (1779–1848)'". Oxford Dictionary of National Biography, Oxford University Press, Sept 2004; online edn, Jan 2008. Retrieved 12 August 2011. Mingay, G. E. (1997). Parliamentary Enclosure in England: An Introduction to Its Causes, Incidence and Impact, 1750-1850. London: Longman. ISBN 0-5822-5726-3. Moore, Barrington (1993). Social Origins of dictatorship and Democracy: Lord and Peasant in the making of the modern world. Boston: Beacon Press. ISBN 0-8070-5073-3. Neeson, J. M. (1996). Commoners: Common Right, Enclosure: and Social Change in England, 1700-1820. Cambridge: Cambridge University Press. ISBN 0-5215-6774-2. Smith, John Owen (2002). One Monday in November... And Beyond: The Story of the Selborne and Headley Workhouse Riots of 1830... And Their Aftermath. Published by Author. ISBN 1-873855-33-8. John Owen Smith, "Headley & Selborne workhouse riot of 1830"
"The Captain Swing rebellion in Sussex"